I pointed out how cheap bank stock was a couple of years ago, and J.P Morgan is one of them. The stock is up over 100% since I wrote about the bank stocks and J.P Morgan is still a good stock. J.P Morgan is one of the best in the class with a Market Cap of $386,64 Billion. Chairman and CEO Jamie Dimon is one of those who hate Bitcoin and said he will fire his own employees trying to trade Bitcoin. But Mr Dimon should take “data capitalism” seriously because it is about to change how business is done throughout the economy. 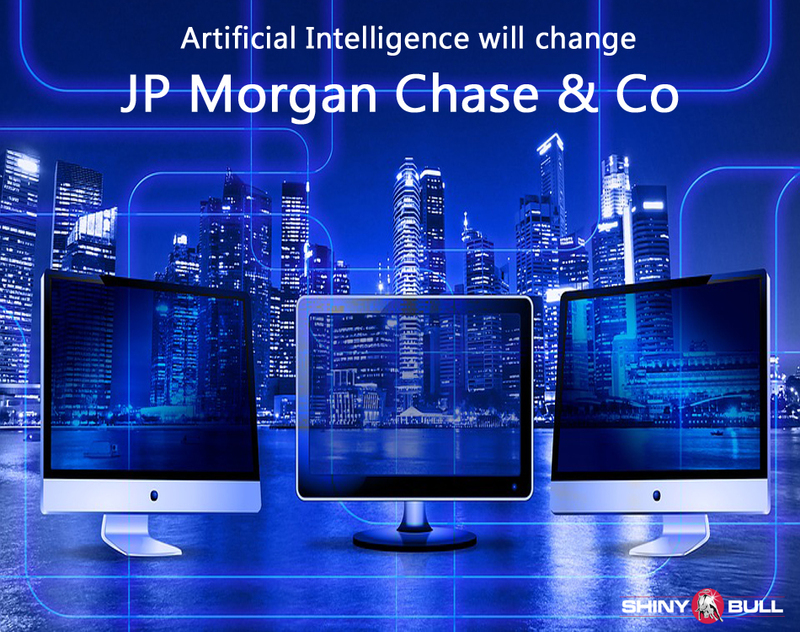 Information technology and artificial intelligence (AI) will change the way banks do business as we know it today. Just take a look at Alibaba and its new bank. Furthermore, J.P Morgan will also see more competition from corporations like Google, Apple and Samsung. They will all change the way we pay, but they will also change the financial business. Just take a look at Goldman Sachs Group and how they changed to their information technology platform in addition to their commercial banking. JPM took a $2,4 billion hit to earnings due to the impact of the Tax Cuts and Jobs Act and when one adds this back into the bank`s earnings, the return on tangible common equity, the bank produced a 13,6 percent result. Economic growth is up 3% for the last quarters in a row and business investments has increased og only that should lead to increase in demand for working capital. 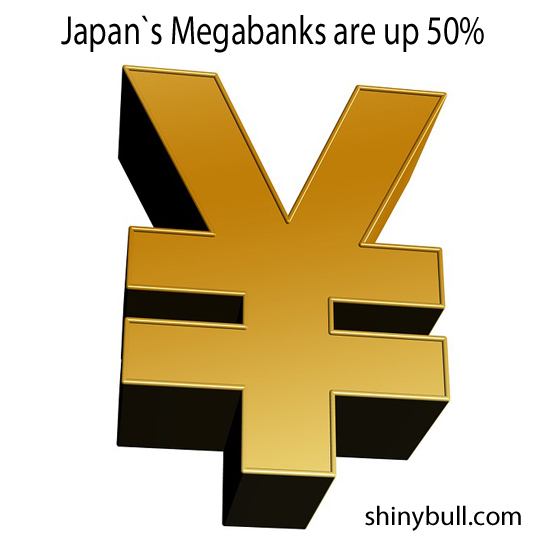 That should lead to banks like JPM will lend more and receive more deposits. On top of that you have the Feds policy and rising yields. Its like the stock market; it won`t go straight up of course, but in the long run, all this cases are profitable for the banking sector, and JPM is one of them. Next target for the stock is $120, and slow growth is expected while much of the major run last two years is based on future growth based on increased global economic activity and rising rates. JP Morgan Chase & Co is expected to report earnings on Friday 13, 2018 before market open, and the report will be for the fiscal Quarter ending March 2018. EPS forecast for the quarter is $2,28 and that is above last years EPS of $1,65. What a great start of the year 2018. The best weekly gain in more than a year and the bull market continue to surprise many investors. Dow Jones Industrial Average jumped over 25,000 and nearly all of the 100 companies in the Nasdaq rose. It is also the best start for the S&P 500 since 1999. Analysts forecasts looks pretty good and economic fundamentals are strong enough to lift the stocks higher. President Trump`s tax cut will also be good for the stock market. It is difficult to find any reasons for a backdrop in the market. A rate hike or two wont stop investors to continue the party. What they really like is Mr Trump`s lower corporate taxes and that will not only help the U.S but also the global economic growth. U.S stocks are looking good but European stock look even better. 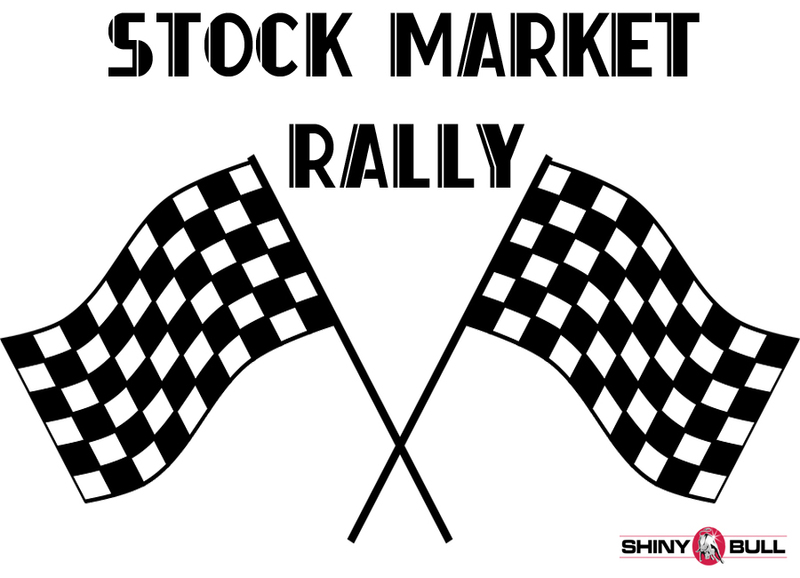 A great rally in European stocks so far is based on growth data for the Euro Zone. Services PMI data showed the Euro area was near its best growth in 7 years. It has been a boost for STOXX 600 and we can thank European banks like Bank Santander and BNP Paribas for that. The outlook for European equities looks good and it is estimated a close to 10% earnings growth in 2018. JP Morgan Chase & Co came out with its earnings report a few days ago and the company had its most profitable year in the history of banking. What about Morgan Stanley? They are expected to report earnings on Wednesday before market open. 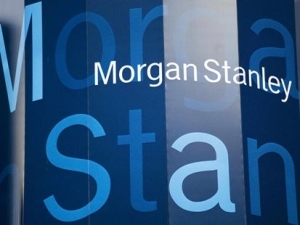 The report will be for the fiscal Quarter ending June 2017, and Morgan Stanley is expected to report $0,76/share on $9,47 billion in revenue. According to the Street`s unofficial view on earnings, the whisper number is $0,78. Earnings for the same quarter last year was $0,75. Wells Fargo surprised many analysts when they reported a drop in lending. JP Morgan Chase & Co also toned down its outlook for loan growth and interest income in the second half. We can clearly see that the loan growth is falling huge, while the optimism in the stock market right after Trump`s election is beginning to fade away. Analysts are projecting revenue to rise to $9,09 billion from $8,91 billion in the second quarter of last year. Morgan Stanley will probably talk about its new automated wealth advising product on Wednesday. It would be the last of the big wealth-management firms to cave to the whims of the less affluent, younger crowd, following Bank of America Corps Merrill Lynch unit and UBS Group AG. Big news from long a sceptic of robo-advisings staying power. Indian banks are trading at an all-time high valuation and that is more than we can say about Morgan Stanley. A bank that reached its all-time high in year 2000 which is twice as much as it is today. The stock came back to its all-time high in 2007, but it plummeted during the financial crisis. Morgan Stanley have never recovered since then and the company`s stock price is trading at $45,14. The stock market has been in a euphoric rally since Donald Trump won the election in November last year. This is something that Janet Yellen and the FED has monitored. Not only that. They also monitored strong economic data which have strengthened the case for a rate hike. As you may know, the FED raised the rates a few days ago, and normally after a rate hike, the stock market drops. Thats the case right now, but the market didnt fall much. Janet Yellen said the FED will continue to raise the rates. What will happen then? The FED came out with Scenarios for annual stress test required under the Dodd-Frank Act Stress Testing Rules and the Capital Plan Rule on February 10, 2017. It is just a forecast; an Armageddon forecast, which is called «Adverse Scenario» Report, and the scenarios are not forecasts of the FED. The adverse and severely adverse scenarios describe hypothetical sets of conditions designed to assess the strength of banking organizations and their resilience to adverse economic environments. The baseline scenario follows a profile similar to the average projections from a survey of economic forecasters. We must be prepared for higher long-term interest rates. What is that suppose to mean? First of all; that is good for banks with retail customers, simply because retail customers usually have checking accounts with zero interest on them. So, if the rates rise, the spread in the banks rise simply because the banks will make more on their lending. About 2,000 banks has disappeared the last seven years, which means the competition among the rest is not that big anymore. We can also see a steeper yield curve and regionally concentrated episodes of deflation. More pronounced in Japan, but less severe in the Euro zone and Asia and absent in the UK and US. This is the major shifts we will see in the FED`s «Adverse Scenario» for 2017, and U.S banks will be stress-tested again. The apocalyptic scenario means that the level of U.S real GDP will decline in the first quarter of this year. The US economy advanced an annualized 1,9 percent on quarter in the three months of 2016, slowing from a 3,5 percent growth in the previous period and matching earlier estimates. Consumer spending rose faster than anticipated while business investment was revised lower. Last year, the GDP expanded 1,6 percent, which is the lowest since 2011. Check out next GDP number at 2017-03-30 at 12:30 PM. In the scenario, the unemployment rate increases to 10 percent, by the third quarter of 2018, and short-term treasury rates fall and remain near zero. House prices will also decline by about 25 – 35 percent, through the first quarter of 2019, and so will equity prices. In the same scenario, we will se a slowdown in Asia, severe recessions and the dollar will appreciate against euro, the pound sterling and the currencies of developing Asia. I think the next big think to look at now is the election in France. If Le Pen and the populist wins, it can turn things upside down, and start a new international crisis. Until then, trade in small caps are profitable when rates rise, and higher rates doesn`t stop tech stocks like Alphabet, Apple and Amazon from surging. This is the bull market that everyone hates.